Back in October 2010, The Comedy Store first threw open its doors for this Halloween-themed tour of its allegedly haunted premises. The venerable venue - which claims to be renowned as "one of the most haunted places in Hollywood" - promised a ghostly experience unlike any other in Los Angeles, with first-hand accounts of paranormal visitations, video footage of psychic investigations, and a behind the scenes flashlight tour through the spooky locations (such as the basement and other haunted spots where ghosts are said to have been seen) - all wrapped up in the standard stand-up comedy style, courtesy of a ghoulish master of ceremonies . The shows, which initially cost $10 and took place Friday nights at midnight, were more entertainment than historical in nature - basically a nightclub show with a tour appended at the end. 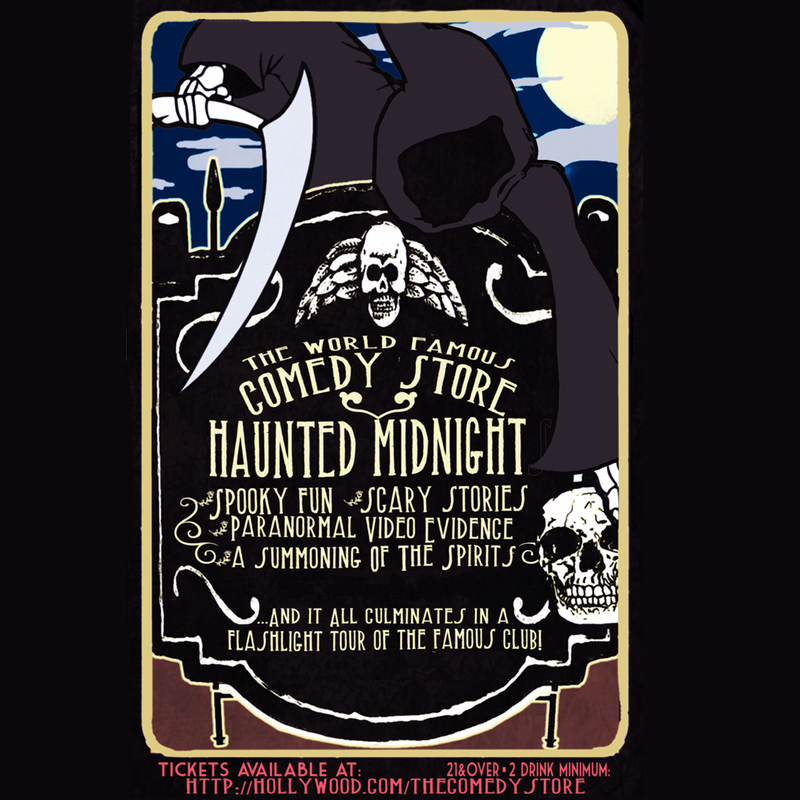 Over the course of the next few years, the Comedy Store moved the event to Wednesday nights and cut down the number of performances, until by Halloween 2014 Haunted Midnights was no longer listed on the schedule. Read our review of the Haunted Midnights 2010 debut.